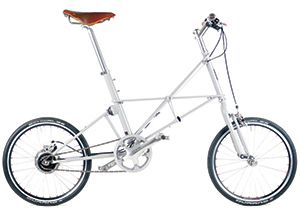 The core Moulton range has been refined through over 50 years of design and engineering development. 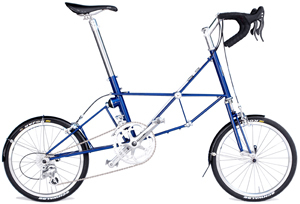 The range includes models for all cycling pursuits from versatile ‘all-rounders’ through to ultimate touring machines. The 'greyhound' of Moultons. 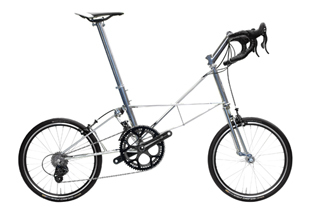 An agressive riding position, adjustable leading link front/Hydrolastic® rear Moulton suspension and a sub-9kg weight make the all-stainless steel Moulton SPEED the perfect choice for performance-orientated Sportive riders. 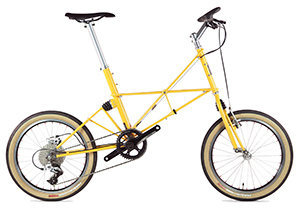 Originaly introduced to mark the Golden Jubilee of the iconic Moulton bicycle, the JUBILEE has been created as the perfect model for the longest or shortest of rides, on the smoothest or roughest of roads. It is the ideal touring machine. 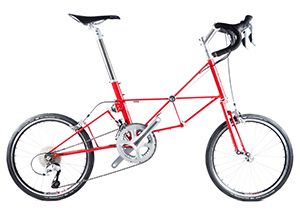 The Moulton XTB brings full-suspension comfort to all kinds of terrain - paths, trails, tracks and gravel roads. Proven and durable Moulton suspension helps to stick your tyres to the ground for efficiency and safety, as well as absorbing shocks from bumps and dips in the trail. A step on from the iconic TSR, the new SST features a new chainstay ‘X-brace’ frame reinforcement, with an adjustable mudguard mount. Frame weight has been reduced with a round-tapered chainstay, lighter rear fork upright tube, and smaller stirrup block height. 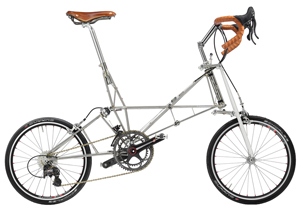 The Ultimate ‘New Series’ (NS) Moultons feature the finest stainless steel Space-frame architecture, coupled with Moulton’s exceptional Flexitor® anti-dive front suspension (unique to this series) for supreme ride comfort and breathtaking looks. 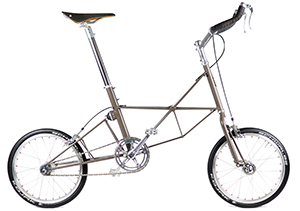 The ultimate Moulton takes space-frame construction to a new level. Stainless steel 'pylons' replace head and seat tubes to further increase stiffness. Sublime ride comfort and breathtaking looks. For those who love to ride... FAST. The NS SPEED is the lightest in the New Series range. Advanced Moulton Flexitor® and Hydrolastic® suspension systems keep the tyres on the tarmac and absorb shock, increasing comfort and speed. The next generation of comfort and speed, the NS MARATHON features advanced Flexitor® front suspension, Hydrolastic® rear suspension, and a lighter, stiffer, stainless steel frame. These Iconic Moultons have stood the test of time - true to the original Alex Moulton (AM) series of designs from the 80s – achieving highly acclaimed records and cycling feats along the way. They are also the only Moultons (along with some Special Edition models) to continue to feature the unique and original 17” sized wheel. 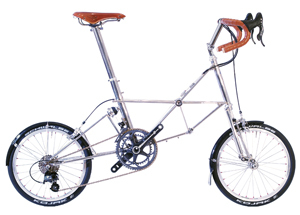 The legendary Moulton AM GT (Mk III) space-frame, lovingly and painstakingly crafted in bright stainless steel. The AM GT is a Grand Tourer in the classical sense and many owners have travelled the world on these beautiful bicycles. 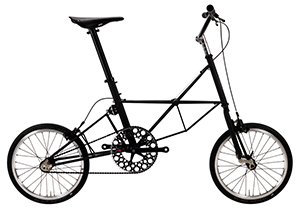 The smooth riding Moulton AM 22 with smaller pack size and reduced weight. 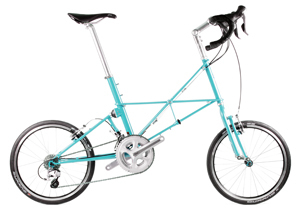 The NiCrMo Space-frame features a shorter seat tube (and extended Moulton 953 seat post) and the original 17" wheels allow luggage to be carried low on platform carriers for enhanced stability. 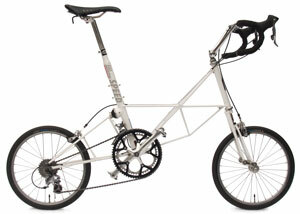 The original Alex Moulton SPEED design, backed with serious racing pedigree. Originally developed for the epic Race Across America, the AM SPEED is the lightest and fastest of the iconic AM series. Our ‘Special Editions’ (SE) provide our team with the opportunity to apply their craft to create something a little different. Be it our 50th anniversary or a special collaboration, there is no set formula and the result may be a single unique model or a limited run. 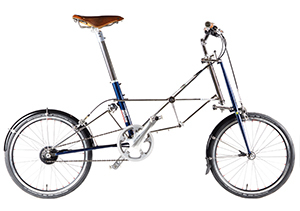 Moulton and ColourBolt have combined their efforts to produce a stunning new luxury single-speed Moulton’s X frame, enriched with one of ColourBolt’s signature paint finishes. This iconic X frame has been designed with lightness, stiffness, speed and comfort in mind – perfect for use in an urban environment. The Moulton AM ‘Earl Grey’ is a Special Edition bicycle designed to complement the Brooks Cambium C15 and C17 vulcanised rubber saddles. Alex Moulton’s great-grandfather, Stephen Moulton, was a friend of Charles Goodyear. Goodyear discovered the rubber vulcanisation process, and in 1842 Moulton brought vulcanised rubber to Europe. 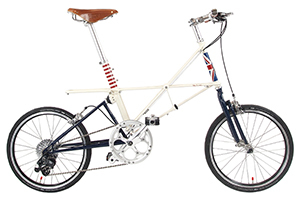 The Moulton “Grand Union” is a special edition bicycle commissioned by The Traditional Cycle Shop, Stratford-upon-Avon, in conjunction with Moulton’s American Distributor. It takes inspiration from the Royal wedding of Prince Harry and Meghan Markle and celebrates the establishment of a new union. 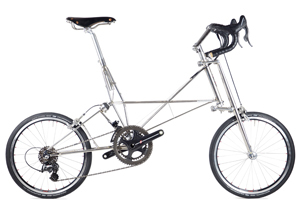 Like most spaceframe Moultons, the two halves of the bicycle come together to form one unified product of exceptional performance, versatility and durability.